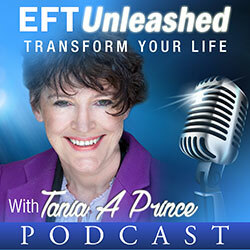 EFT: When Do You Know You Have Tapped Enough? 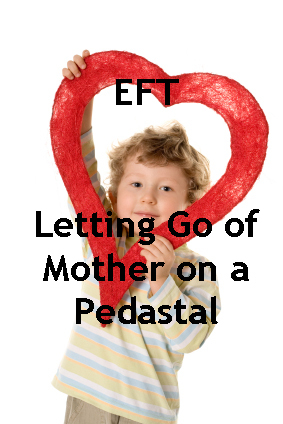 At a recent EFT Training course I ran in Manchester I asked one of the attendees at the end of an EFT practice exercise, to describe how the event he had tapped on with his fellow attendee looked now? He said, “now, I see myself hugging my mother and it is really nice”. How does your mum look? “Well, she is still upset, but I am consoling her and it feels good”. Why isn’t this the real end point? The reason is that when you tap, the mind automatically changes how you perceive an event. It does this naturally. For example a memory may fade or become distant or turn into a cartoon type image. People’s minds do different things. Effective therapy is about changing perception. From the original point where the trainee started to tap, there is a change of perception. “The sheriff has come and we are going to be out on the streets”. Originally as a boy, he had not known what to do, he had felt lost. So, the tapping had made a big shift in the emotions connected to the event and his perception. However, one key thing is still there, “the problem”. There is still a problem depicted in the event. The mother is still crying, upset. This points to something more going on. It is not the end point if you want to create deep and profound healing. At this point I questioned the trainee to find out what lay beneath this. The trainee was the eighth born of twelve children. Prior to his birth his mother had lost a child. She was grieving during the pregnancy. During his birth, he had been stuck and had a sense of going down a tunnel of light and feeling fantastic, only to be pulled away from it and feeling immense pain. This possibly was a near death experience. As a child he had felt “not wanted”. He felt in the shadow of the child who had been lost. As a consequence of this he developed a “need for people to like him” a “huge need for approval” and a “need to make people happy”. 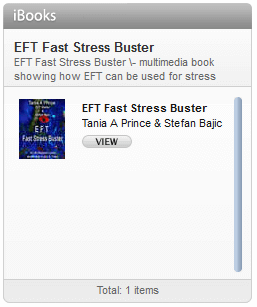 He only became aware of this during the EFT training weekend as he tapped through his issues. 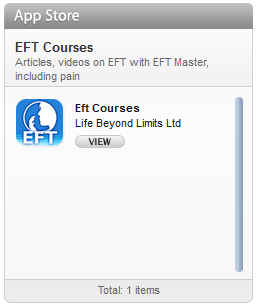 Understanding of why you have done the things you have done in you life often accompanies an EFT Tapping session. His mother had died thirty years before the training. However since a child he had carried his mother with him, as if she was on a pedestal next to him. Earlier in his life, it was as if the pedestal was thirty foot tall, but through the work he did over the years it had decreased to about three foot. He had real visual sense of this and often laughed about it. Why isn’t this an End Point of tapping? So back to the point I was making about why this isn’t an end point. The image in his mind of consoling his mother, shows her needing him, which makes him happy in the image. It still shows the need to be wanted, to be liked. Therefore it points to the deeper issue, one that needs to be cleared. Interestingly enough with a bit of further tapping he had a sense of his mother suddenly being off her pedestal and on the floor, a bit more tapping, he had a sense of her dancing freely, joyously. And then a sense of her saying to him, “I can’t move on if you don’t let me go”. At this point he had a sense of giving permission and felt a profound sense of peace and release. His mother now felt in his heart. Thirty years after the death of his mother he had finally been able to let her go.